I awoke in the middle of the night with the feeling that Jesus wanted me. I resisted, but at last got out of bed. At the foot of the altar I was thinking of something else, when suddenly He seemed to remind me of my prayer, ‘Jesus come and dwell within my heart as in a tabernacle’. I felt Him urging me to this close union and He seemed to promise me that He would remain with me ‘from Communion to Communion’ if only I was recollected, but that I would easily drive Him away by unfaithfulness especially in want of guard over my eyes. COMMENT: Fr Doyle wrote these very personal and intimate reflections in his diary 105 years ago today, on 10 July 1912. Two days later, he described the same incident in a letter, and recounted that he struggled against what he perceived to be the call to go to the chapel because “I did not want the trouble of walking down to the chapel in the early hours of the morning”. Sometimes we can imagine that Fr Doyle was not quite like us, given the austerities that he voluntarily endured and embraced throughout his life, and it is consoling to see that he too struggled, just as we all do. Jesus seemed to ask the following: (i) perfect denial of the eyes, (2) the bearing of little pains, (3) much prayer for strength, (4) a review of each half day at examen to see if this resolution has been kept. My whole soul shrank from this life—‘no human comfort ever’. But with His grace, for I know my own weakness too well, I promised to do all He asked, and lying on the ground, I asked Him to nail me to my cross and never again permit me to come down from it. Fr Doyle was a mystic. His diary – never intended for public consumption – reveals this mystical side of him. He often felt that God was speaking directly to him. This does not seem to have been the result of visions or apparitions, but rather from internal inspirations and perhaps locutions. 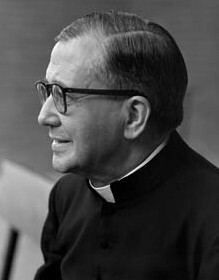 Fr Doyle was a well trained Jesuit who spent 16 years in preparation for his ordination. He was no sentimental or gullible fool, and on the balance of probability we must trust that he discerned these matters correctly. In any event, we cannot fully know what happened on those nights more than a century ago, and we have to take what Fr Doyle says on face value. But what we can do is to focus on the last line of today’s first quote, which is very applicable for all of us living in the nitty gritty of the daily grind: I would easily drive Him away by unfaithfulness especially in want of guard over my eyes. St John tells us that the other enemy is the lust of the eyes, a deep-seated avariciousness that leads us to appreciate only what we can touch. Such eyes are glued to earthly things and, consequently, they are blind to supernatural realities. We can, then, use this expression of sacred Scripture to indicate that disordered desire for material things, as well as that deformation which views everything around us — other people, the circumstances of our life and of our age — with just human vision. Then the eyes of our soul grow dull. Reason proclaims itself sufficient to understand everything, without the aid of God. This is a subtle temptation, which hides behind the power of our intellect, given by our Father God to man so that he might know and love him freely. Seduced by this temptation, the human mind appoints itself the centre of the universe, being thrilled with the prospect that “you shall be like gods.” So filled with love for itself, it turns its back on the love of God. We all probably recognise this from ordinary human experience. When trying to study, if we give way to curiosity on the internet, on the radio etc, then we lose our recollection and focus. In conversations with others, if we spend our time looking around or at our phone and not focusing on those we are speaking with, we can easily lose focus on the conversation, and in the process display a lack of respect to others. This doesn’t necessarily mean that we always have to go around with our eyes downcast, ignoring the beauty of creation around us, but rather that we always try to avoid seeing things that may be sinful to watch, and secondly, that we focus on what we are meant to be doing and not lose our focus and recollection by looking around at distractions too much. This, of course, is easier said than done, especially in an era with smartphones and social media, when many of us have become accustomed to always consume information and have shortened our concentration spans. Even Fr Doyle struggled, and this is a consolation for us. But who can doubt that the world would be a better place if we all focused on what we are meant to be doing at the time we are doing it, and fostered a greater spirit of recollection and internal peace?